Mordekaiser isn’t known for his stellar champion design or unique mechanics. Unfortunately, he’s best known for his never-ending list of bugs—and Illaoi might be following the same path. 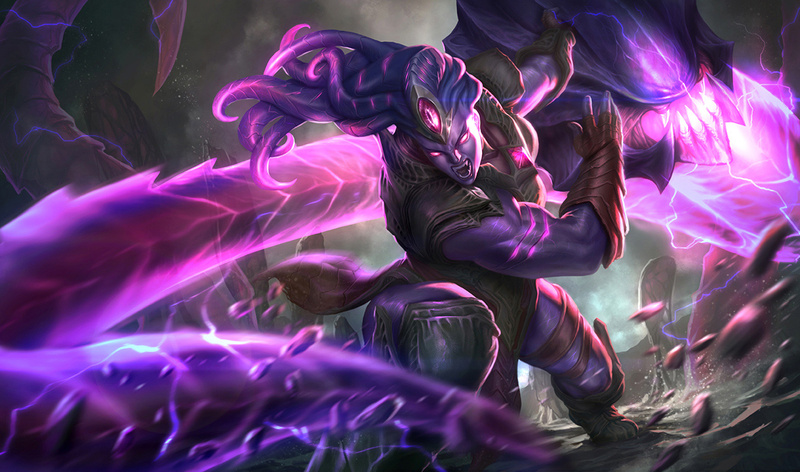 The tentacle-swinging kraken queen has reached over 50 bugs, according to a heavily-detailed post on the official League of Legends forums today. Although that’s not quite as big as Mordekaiser’s list by some way yet, it’s still quite a lot. The listed bugs cover everything from her tentacles blocking movement and spawning in unintended locations, to her W not triggering a slam attack when it lands. Her tentacles will also sometimes reveal enemy wards, despite not sharing any vision-granting properties with actual wards. Some of these bugs are really bizarre, while a few others may not be bugs but are instead intended features, as the original poster and comments pointed out. While this sheer amount of technical problems can’t really be excused, it’s not exactly surprising that it’s Illaoi who causes them. She’s an incredibly complex champion, according to one of Riot’s updates on the design of the new Resistance Illaoi skin. There are roughly triple the amount of in-game files just to hold her animations than there are for average champions, like Nasus. This is mostly due to her tentacles. They have to be programmed to interact individually with each champion, attack, and effect in the game. Likewise, her abilities that alter the state of her tentacles or trigger their attacks require the same effort to maintain. No one wants to see Illaoi bug out so terribly—but at least it’s understandable. The same can’t be said for Mordekaiser, though, which means he’ll probably reign supreme as King of the Bugs until a major redesign is pushed for him—or he’s removed from the game. Whichever.